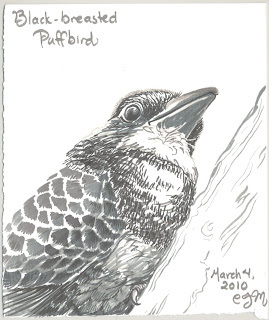 I drew another Puffbird in February. This one is in the same family. I was drawn to this photo because of the perspective, which is different from the other photos I've been using. Also, this is probably a more realistic angle to see any of these birds!